Etsy Vintage Seller Encyclopedia: How is your shop doing at the end of 2016? How is your shop doing at the end of 2016? How was 2016 in our shop? We all know about our gross sales. What about the other numbers? My views aren't great. However, that didn't seem to decrease my sales. My shop set all-time records in November and December. 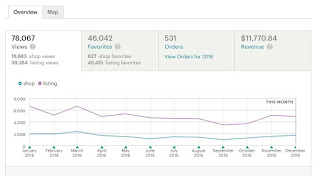 Etsy announced a seller upgrade in late 2016: we can now set up our own Google shopping engine advertising campaign. It's a paid service. I haven't participated. Etsy is tapering off the free ads for sellers. 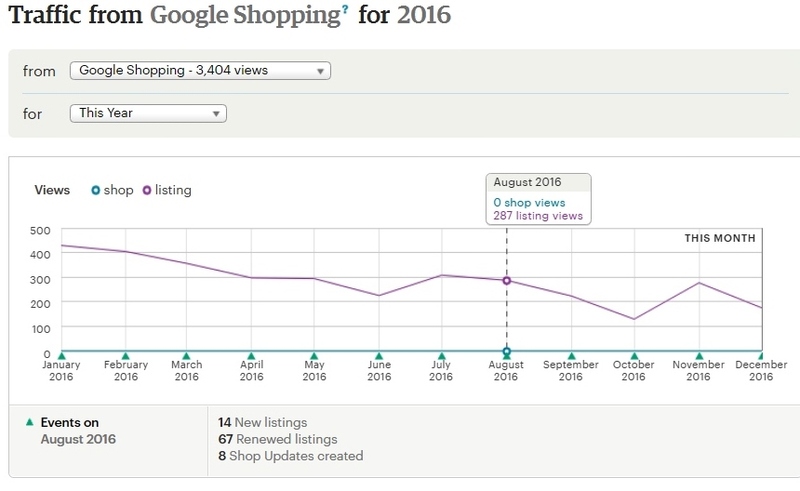 This year shows a steady decline in my Google Shopping views. I am seeing more and more views via the Etsy app. We all need to optimize our shops for buyers using the app to shop. 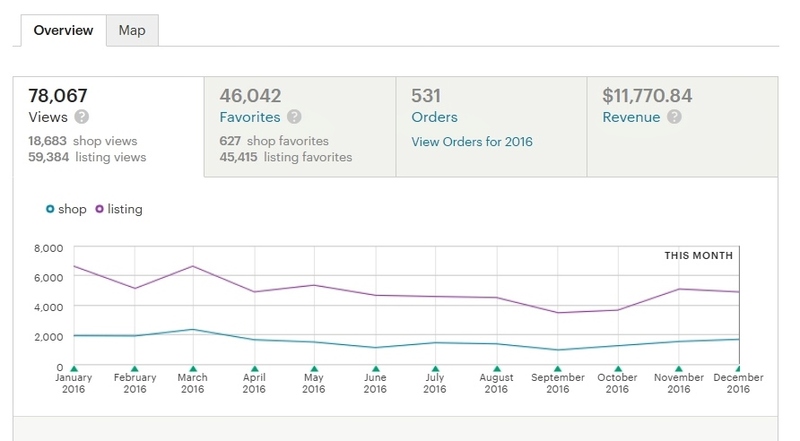 In October of 2015, Etsy released Shop Updates. 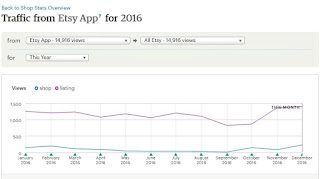 Yes, you need a mobile device running the Sell on Etsy app on iOS or Android. I do feel that they improve the sales rate of featured items. That's quite the bump in shop update views in October of 2016. I think it was my first post on this blog which covers 40 shop update ideas for vintage shops. I also published one on how and why to do the updates at the end of that month. 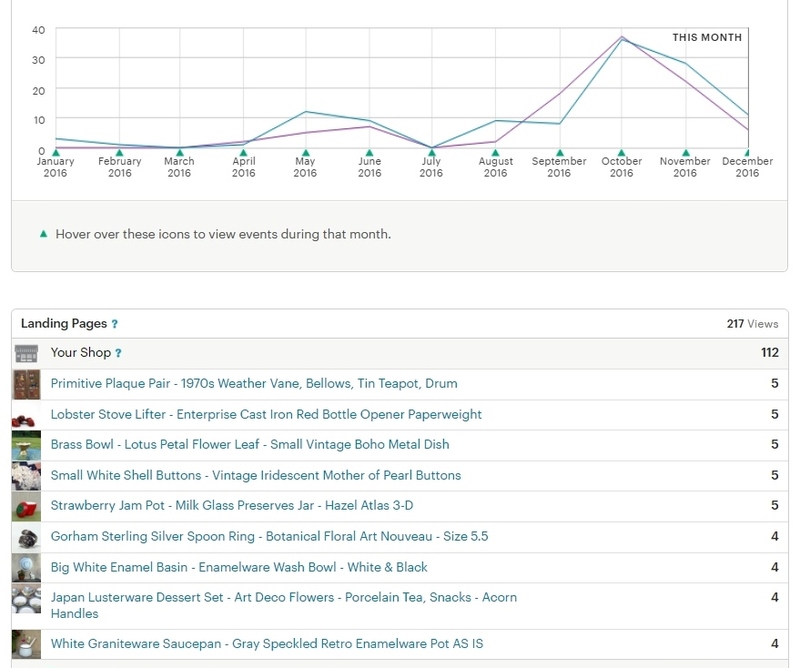 In this screen shot you can also see what items were viewed. I'm including it because I've read that you can't see which of your shop updates brought in viewers, but you can. So, how was 2016 for your shop? What are your stats telling you? Are you making any changes? And what changes are coming in 2017? 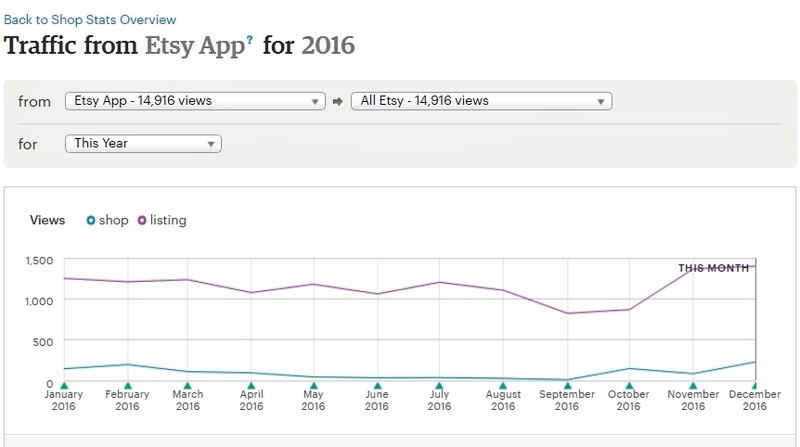 Why should you test search on Etsy? And how? 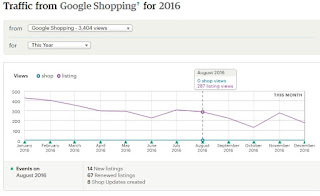 SEO: 2016 admin update - does social media help? 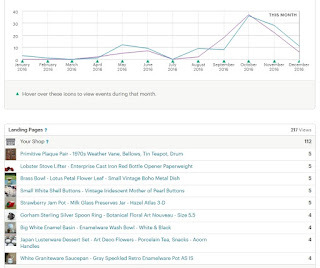 Etsy Search: what is keyword stuffing?